(2005) Discovered the role of human microRNAs as a potential antiviral mechanism against Human Immunodeficiency Virus (HIV) and suggested the molecular mechanism of the role of microRNAs as a critical determinant of long-term non-progression (LTNP) states. Also suggested microRNA level variation to have prognostic value (Biochem Biophys Res Commun. 2005).This work has been extensively cited in top journals including a news and views article in Nature Reviews Drug Discovery. Suggested a comprehensive model for microRNA mediated host-virus interaction and suggested design and use of artificial microRNAs as a therapeutic (Retrovirology 2006). Developed for the first time, an algorithm for design of highly specific artificial microRNAs. This tool is being experimentally validated. Developed an algorithm and designed Oligonucleotide enzymes (10-23 DNAzymes) which can specifically cleave microRNAs (aka AnatagomiRzyme). The methodology and experimental validation is available at Jadhav et al, Angewandte Chemie 2009. 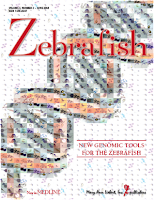 Whole Genome Sequencing and Annotation of the Wild-Type Strain of Zebrafish (2009) (In Collaboration with Dr.Sridhar Sivasubbu/IGIB) Comprehensive annotation of the genome, variome and transcriptome of zebrafish. Pioneered E-Health and E-Health ethics research in the country and pioneered one of the first studies on Cyber-pharmacies and public access of health information. Also played major role in establishing one of the first E-Health groups in the country while in medical school. The group later evolved into a full fledged Telemedicine and E-Health facility at Calicut Medical College. Papers published have been cited in top Journals in the field. Was awarded Gold Medals for best student in university for Biochemistry and Physiology. Peer reviewer, editorial board member, advisor of various National and International journals including PLoS journals , Bioinformatics(Oxford) and Frontiers in Biosciences.